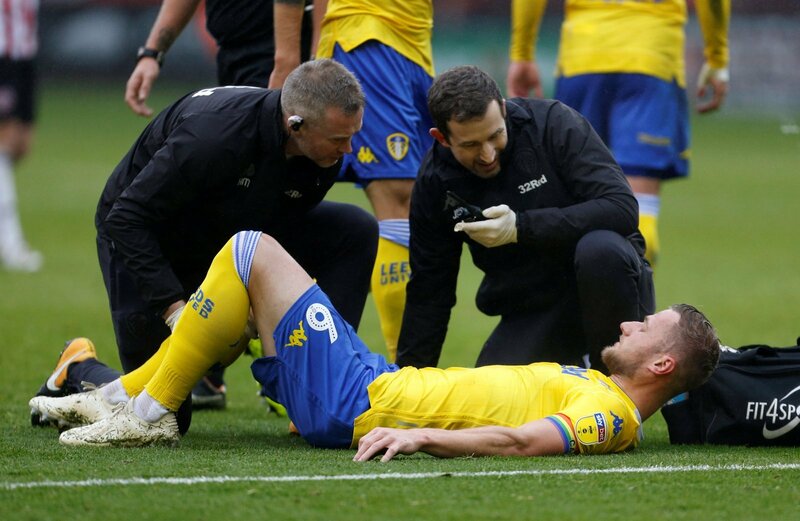 Liam Cooper is a doubt for Leeds United heading into the Easter period, with Marcelo Bielsa’s skipper not shaking off a muscle problem picked up in the warm-up ahead of last Saturday’s clash with Sheffield Wednesday. Leeds are taking on Wigan on Good Friday before travelling to Brentford on Easter Monday, with that four day period likely to play a key part in deciding who will win promotion from the Championship this season. The Whites are set to head into those games without Cooper, with Adam Pope from BBC Radio Leeds – who was present at Bielsa’s Wednesday press conference – confirming the club captain is a doubt heading into the weekend. The defender dropped out of the starting line-up less than an hour before Leeds faced Sheffield Wednesday on Saturday, with Gaetano Berardi stepping in and helping the Whites to a 1-0 win. You’d expect him to step in again for Cooper this weekend if the captain misses out. No fear, Berra is here ???? Big loss but its time to unleash the beast BERARDI Wigan forwards beware.???????????? Cooper is a massive player for us and will be a loss if unavailable but hoping beradi can handle Wigan. And hopefully get cooper back for Brentford where he gets his sharpness for the villa game. Any doubt he doesn’t play.. rest him and hopefully OJ for Monday. If we play like we did against Wednesday we’ll be fine. Just can’t take it lightly because of league positions.